1. When did you first suspect Jacob was a werewolf? When Bella realized it or had you been suspicious of his drastic changes? 6. At the end of the chapter, Bella debates with herself as to whether she should warn Jacob or if she shouldn't. What did you think she would do? What would you have done? Well, suspected: Everytime. But starting to really believe it: when he was ignoring Bella. And I was sure of it when the wolves appeared in the meadow, when Laurent was going to kill Bella. 2. In various occasions, Jacob tries to tell Bella what is happening but is abruptly cut off? Why did you think this happened? Was it guilt or fear that prompted his sudden silences? Or was it something else? Because he is not allowed to tell his secret to anybody. It's not his secret to tell. Gosh, he explained that. 3. What did you think of Jacob being a werewolf? Was it surprising? Did you like it? Why or why not? It wasn't really surprising. It was like the right thing to happen now. Edward's a vampire. Jacob's a werewolf. It made sense. And I guess I liked it. Since the Cullens weren't around, we needed some more mythical creatures. 4. How did you feel about Jacob after he came over, trying to explain himself about the confrontation earlier that day? Did it redeem him for you or make things worse? I think it was nice for him to come. But I hated him when he was being rude. I was like: Dude, what did Bella do to you? 5. Did you think that Jacob and the rest of the "pack" were responsible for the murders that were occurring? Yes, I believed that. Until Jacob proved me wrong. I'd do what she did. Warn him. But part of me'd believed that they weren't in any danger. I mean, they're gigantic wolves! It was very surprising! A novel about vampires.. but then werewolves too? I think SM is a genious. I'm not sure if she planned ahead on this or not.. but she does it perfectly! He made it more clear that it was hurting him. I still thought there was an easier way he could have said things to her when she came to his house.. and not of been such a jerk! But he definitely made up for it when he came to her room. I thought they might be. The one thing that made me think it WAS them, was that Charlie kept mentioning the blood that was always left behind after someone left and if it was a vampire,.. there really wouldn't be any blood left. I knew she would warn them,.. that's Bella's style. I think I would have went and talked to Jacob and found out what was going on and if they were the ones killing.. so I guess much like what Bella did do. Since I had unfortunately just watched the trailer on MTV, I already knew. I thought he was just trying to protect her for some weird reason. But we learn later on that he couldn't break the orders given to him by Sam. Since I already knew from the trailer, I didn't have to wonder as much and the surprise wasn't there. 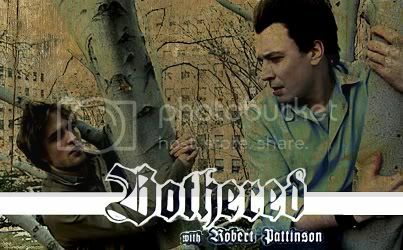 It did redeem him to a point, but of course, he had to be antagonistic towards Bella. No, I figured it was vampires and not wolves. I figured if Jacob was werewolf, he wouldn't be a monster, just like Edward doesn't kill humans. I knew she would warn them. Bella would warn them, even if they were killing people. I realized it when Bella saw the wolves in the meadow. I think it was he like he said: he really couldn't tell her, he was bound to things she wasn't supposed to know about. By this time it wasn't surprising any more. I felt like Bella: "Off course, another mythical creature in her life." I thought it made things worse. I didn't feel it was good of him to come if he couldn't explain himself. No, I never thought they were and I thought Bella was stupid for thinking that. I felt it stupid to warn him, he's a freaking werewolf. I didn't know yet what they could and couldn't do, but I didn't think they should be afraid of some men with guns. But off course, she was right in warning him. I knew from the beginning of the book that Jacob was a werewolf, so this didn't surprise me at all. I think it was both. He felt guilty for betraying the pack, and he feared what they would do to him. At the same time, he felt guilty for Bella wanting to hang out with him, and he feared for her safety. Yes, it redeemed him. I was really glad that he was still the same Jacob. I thought she would warn him... I would have done the same. I knew he was from the start. I thought he was probably not allowed to tell her these things. I didn't realise he was bound so tightly by an Alpha command. It wasn't surprising. I thought it was kind of cool, actually, although he was more angry. But then, I could understand that, even without the anger aspect of his werewolf nature. It wouldn't be an easy thing to deal with, especially knowing the cause. I thought it helped. He was trying to do the right thing by Bella. No. And since Laurent had mentioned Victoria, I assumed it was her doing, and his as well, probably. Warn him. That's what I knew she would do, and what she should have done. I figured it out in Twilight but didn't realize the symptoms meant he was changing. It hit me when he walked by her at the meadow when chasing Laurent. I couldn't figure it out. I just thought they were suppose to keep it a secret and questioned him on why he couldn't tell her it's not like they would know. Of course we find out later how the pack does know. I did like it. It added a twist to the story. SM has a way of telling a story that consumes you and the more I read into the Saga the more I couldn't do anything else. I was a little annoyed at first but I could see how hard he wanted to tell her but couldn't. I wouldn't say redeem but it was an effort. It would take a few days to get over the hurt that he caused. I did wonder that yes. I would have done the same thing for my friend by warning him. She did the right thing.